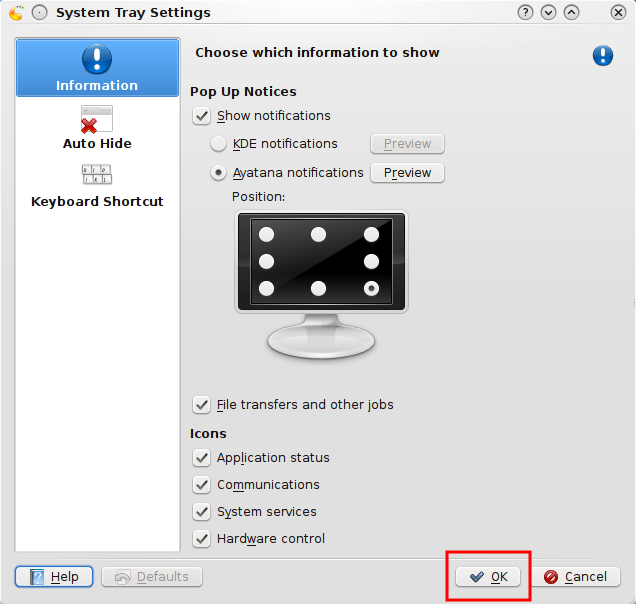 Right click on the System Tray and select System Tray Settings. In the System Tray Settings window, under Informations, select Show Notifications, if it is not already selected, and click on the radio button next to Ayatana Notification. 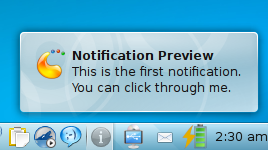 You can click on the Preview button to see a preview. Then choose the position where you want your notifications to appear from the monitor shown by clickin on a white dot. Each white dot in the monitor corresponds to the position where the notification will appear. After selecting the position, click on Ok and you are done. Your Ayatana Notification has been enabled.